What motivates members and how much progress do they perceive they are making towards their goals? Do members feel they are making the progress towards their goals they expected they would? 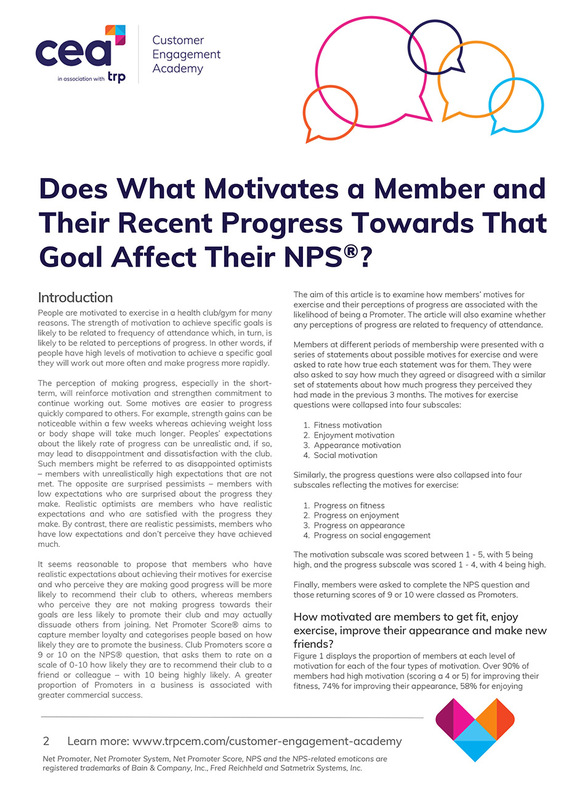 Does making progress towards a goal increase member loyalty, as measured by NPS®?